1. What is the one knitting accessory you could not live without? the end protectors that go on the end of the needles. I started using these because I found that when I pulled my knitting out of the bottom of my bag, stitches came off and undone. 2. If you're heading on vacation, do you take knitting with you? Absolutely! If so, how much and what type of project? socks as it takes up less room. 3. Where have you travelled to that you'd consider your favorite spot? Isle of Haute in Maine. Small private island with only a few people whom live there. You can only get there by boat. So quiet! 4. 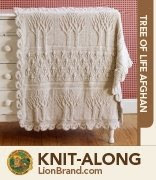 What is your favorite knitting book at the moment? I really don't have a favorite knitting book. 5. Do you listen to podcasts? No. I love to knit with soft wools and 100% cotton. I am picky about my yarn preferences. I don't knit with acrylics or any other synthetics or fur yarns or mohair. 3. How long have you been knitting & how did you learn? I have been knitting for 5 years. A friend taught me a bit and I then started taking knitting classes at my local yarn shop. 6. Do you have a sweet tooth? YES. 7. What other crafts or Do-It-Yourself things do you like to do? SEW. 8. What kind of music do you like? Sheryl Crow, Fleetwood Mac, others like that. 10. What is your family situation? Mother to 3 daughters, married for 13 years. 11. Do you wear scarves, hats, mittens or ponchos? YES to all. 12. What is/are your favorite item/s to knit? socks especially but I also like to knit hats, scarfs, fingerless gloves. 13. What are you knitting right now? sweater for husband, 3 pairs of socks, lots of projects on needles right now. I can't just knit 1 project at a time. 14. Do you like to receive handmade gifts? Absolutely. 20. Any books, yarns, needles or patterns out there you are dying to get your hands on? The Sheep shawl or the Seascape shawl pattern.